First images of this shoe from a few months back revealed an eye-catching, contemporary mesh-uppered lightweight runner with obvious aspirations to the likes of the Nike Roshe Run, Free series and Adidas Boost. Let’s be clear from the outset: here is NO Hexalite in this shoe, nor is there a Pump mechanism, the replacement fastening mechanisms are surprisingly practical: bungee laces. Slip the shoe on and just a quick tug to tighten – no tying required. Effortless. 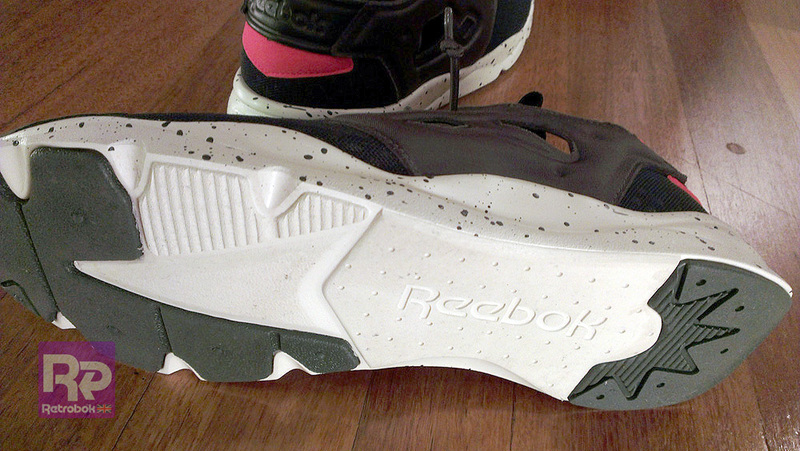 (above – notice the toebox bumpers which are again inspired by the Pump Fury). From a different point of view, this elongated front section may help the lateral view tapering effect towards the toes – again a very contemporary style. But as far as foot flex goes it all makes perfect sense – the 3D Ultralight midsole providing the mildest resistance to flex when worn. Form definitely appears to follow function in this case. In overall wear my only disappointment is that wearing these sockless – as seems intended – is not as comfortable and snug-fitting experience as other modern lightweights. This appears to be down to the design of the uppers’ central panelled section, which is set outside of the uppers’ meshed padding. 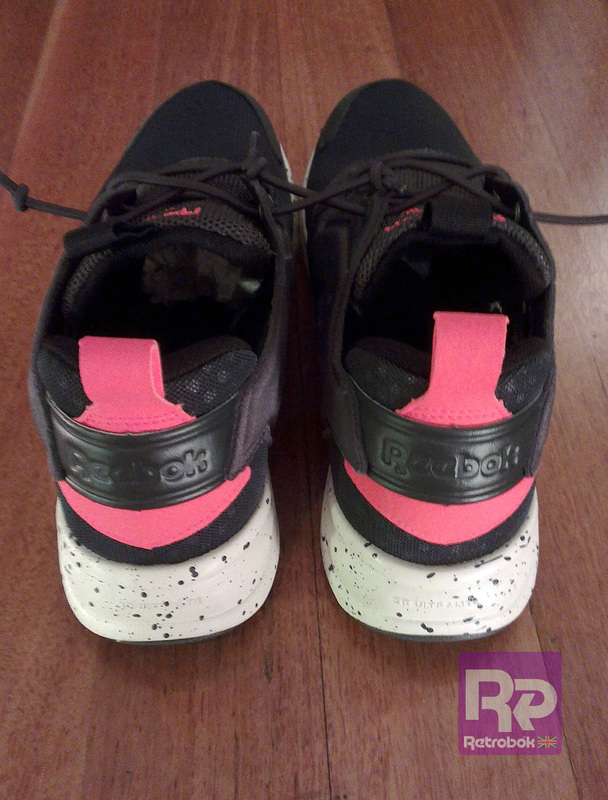 However, it’s my only quibble really — I love this shoe, and am very excited that Reebok have developed it at all, regenerating the DNA from a legendary runner with both current lightweight tech and street style. 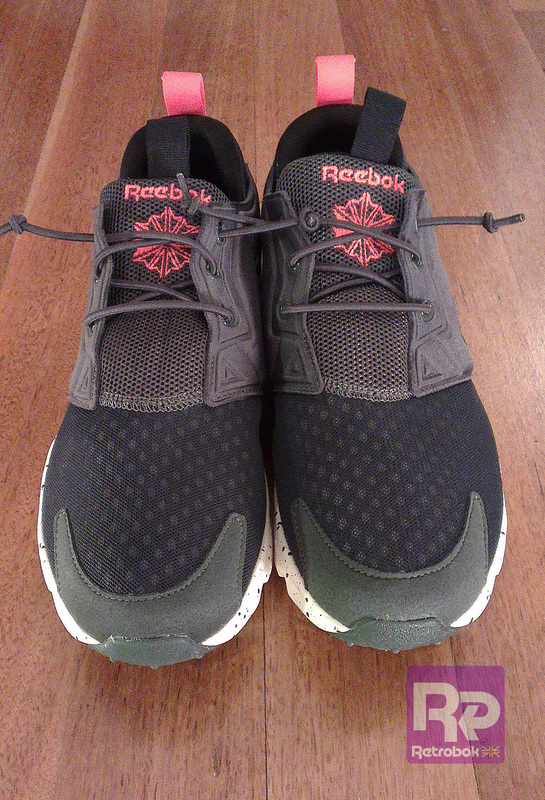 *Retrobok remains an independent blog, and is not paid or asked to promote Reebok in any way. 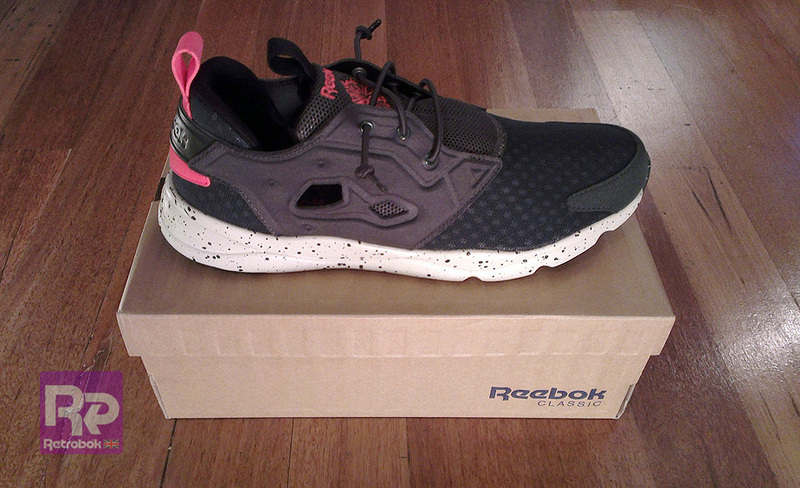 Posted on March 10, 2015, in Newsfeed and tagged Reebok Classics, Retrobok. Bookmark the permalink. Comments Off on Furylight — Dark Sage/Paperwhite/Silvery Grey/Cherry — Pickup, macros, thoughts.